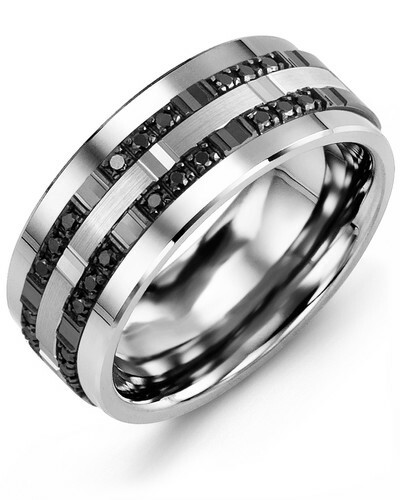 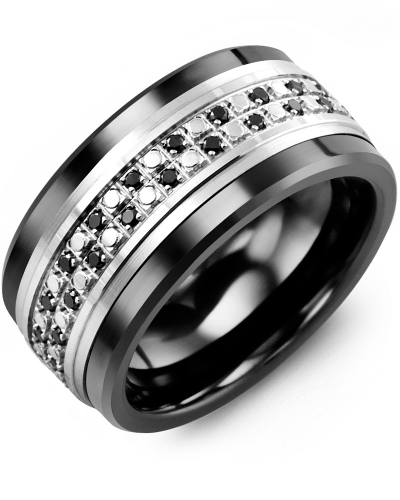 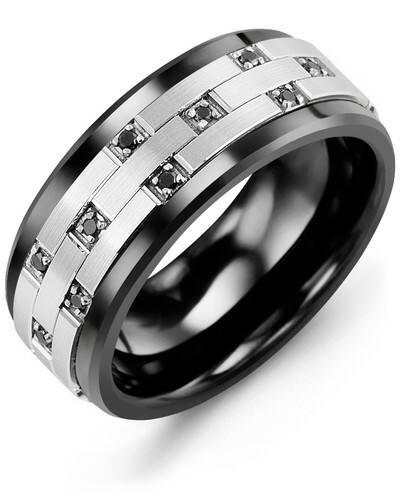 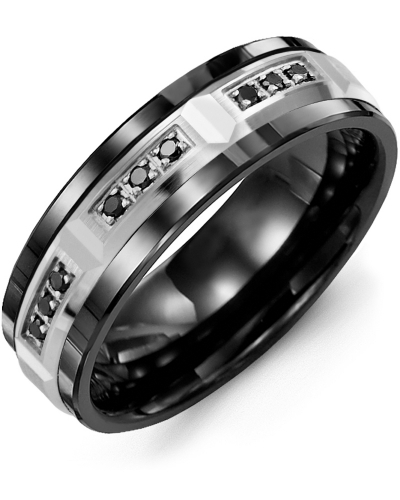 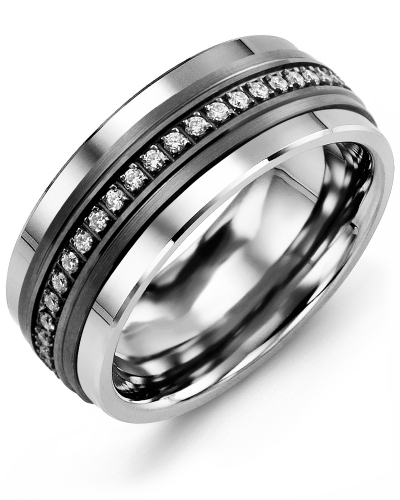 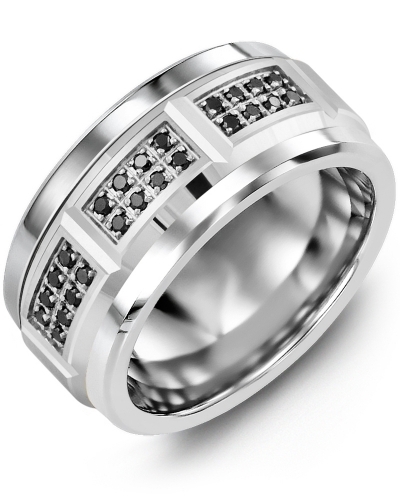 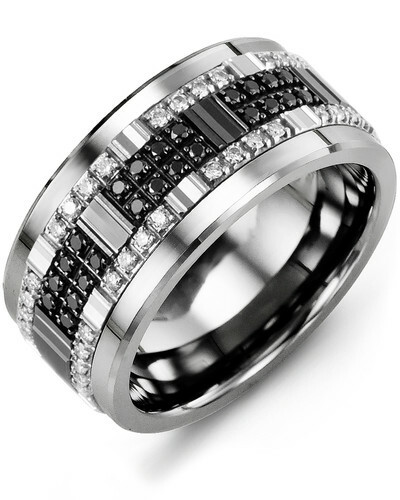 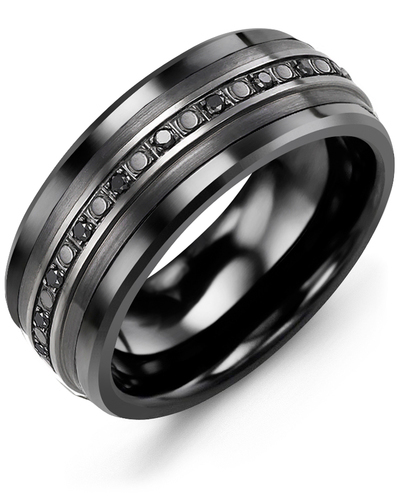 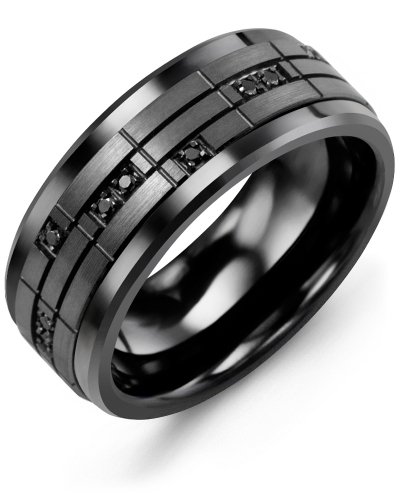 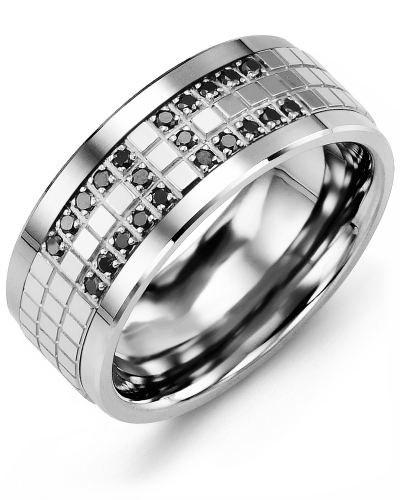 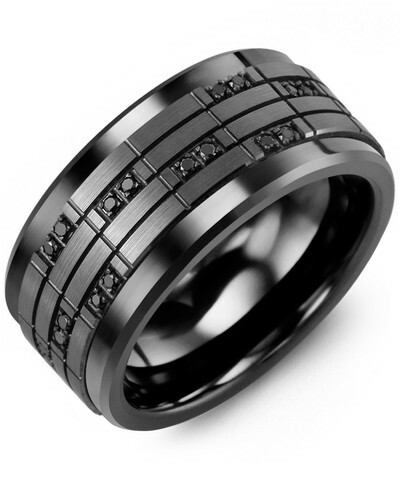 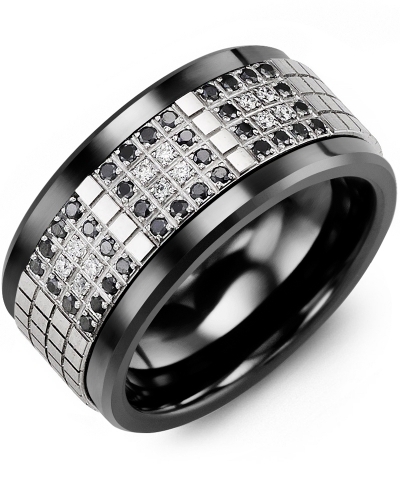 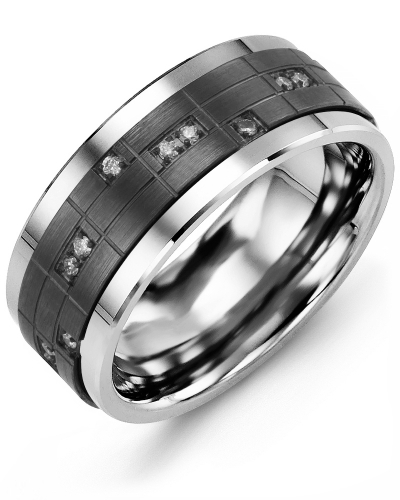 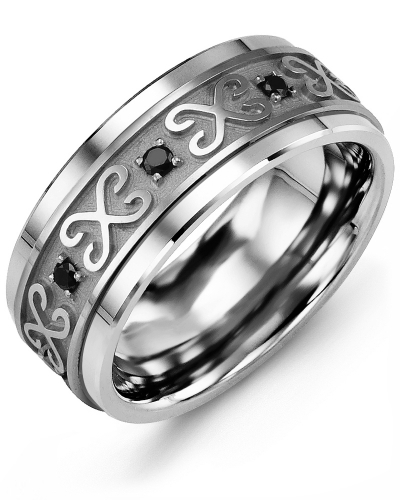 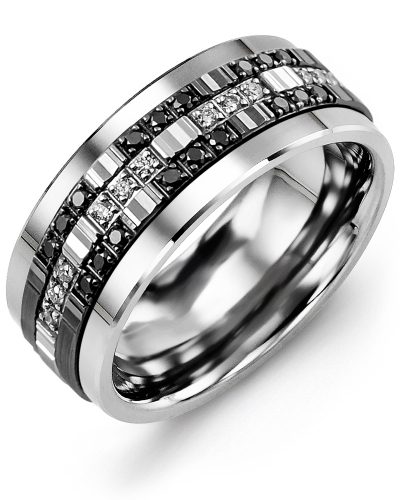 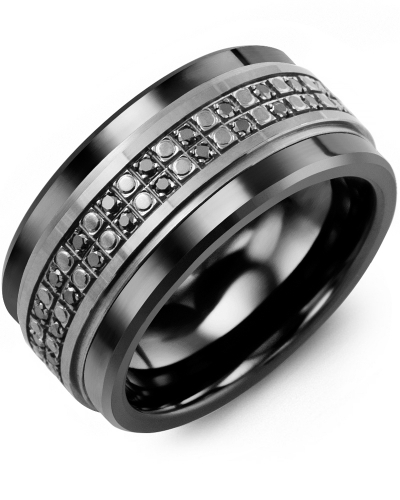 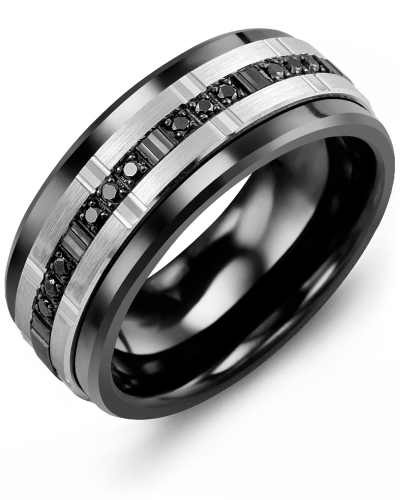 MLV - Wide Black Diamond Illusion Wedding Band A magical piece of jewellery with impeccable attention to detail, this Wide Black Diamond Illusion Wedding Band remains one of the most popular pieces in our exclusive Monochrome collection. 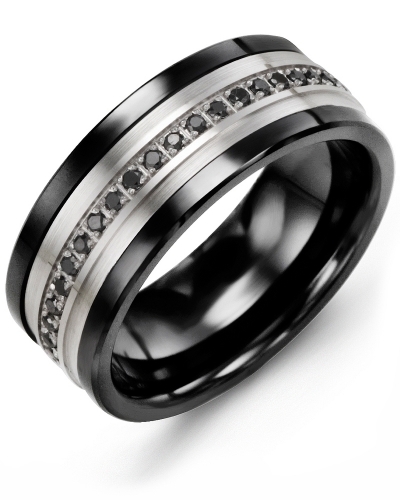 Offered as a cobalt ring, a ceramic ring or a tungsten ring, it features a gold insert richly embellished with 44 black diamonds with a total carat weight of 0.44ct. 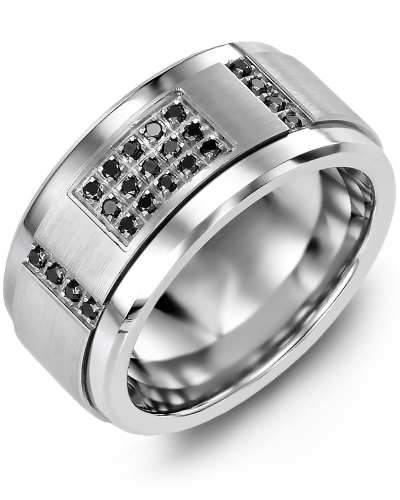 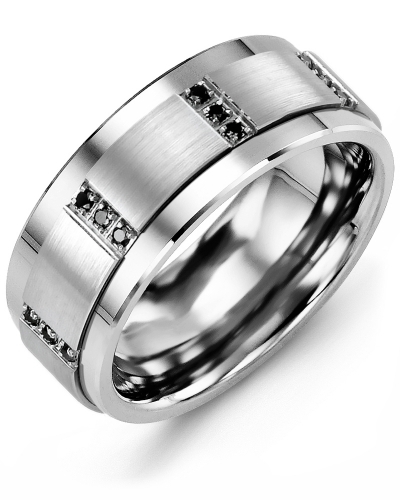 The insert is available in yellow, rose and white gold, and 10kt, 14kt and 18kt options. 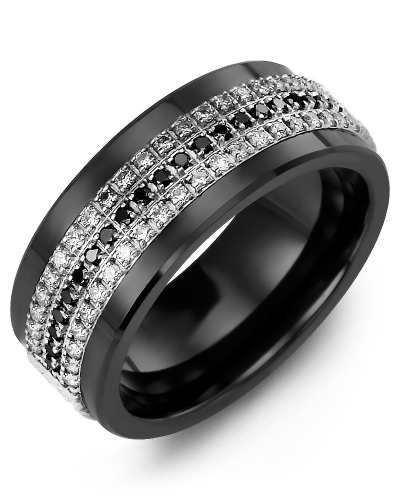 A magical piece of jewellery with impeccable attention to detail, this Wide Black Diamond Illusion Wedding Band remains one of the most popular pieces in our exclusive Monochrome collection. 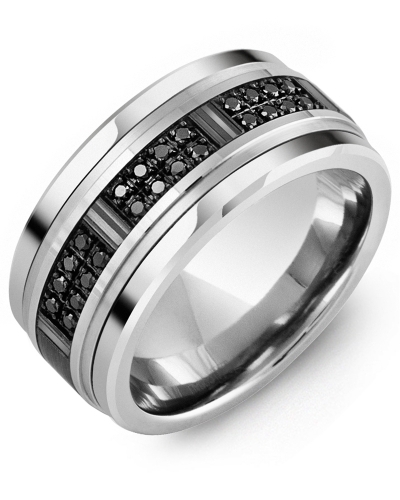 Offered as a cobalt ring, a ceramic ring or a tungsten ring, it features a gold insert richly embellished with 44 black diamonds with a total carat weight of 0.44ct. 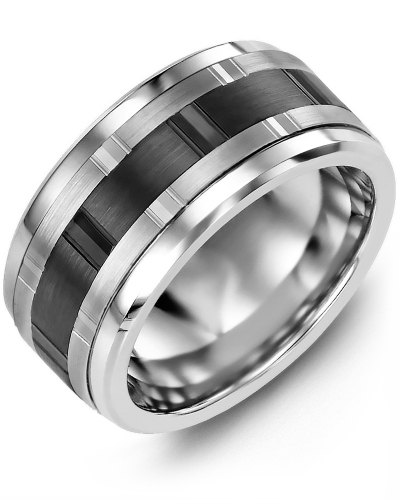 The insert is available in yellow, rose and white gold, and 10kt, 14kt and 18kt options.